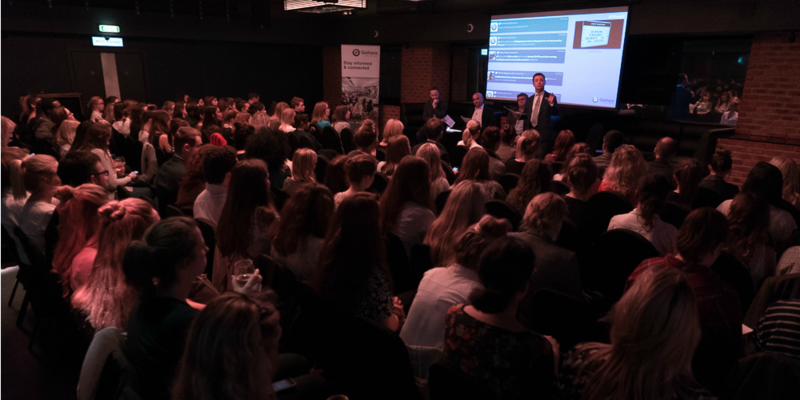 The changing media and consumer landscape means that PR and marketing initiatives need to be aligned more than ever before if brands are to be successful agree the panel at Gorkana‘s latest panel event. From the power of social media to the increasing influence of mobile, there are a number of factors powering this trend, highlighted the members of the panel: Alastair Pegg, marketing director at The Co-operative Bank, Omaid Hiwaizi, president, global marketing at Blippar and Gary Andrews, social media editor at Direct Line Group. Philip Smith, head of news and content at Gorkana, led the discussion. They discussed how important it is to keep both agencies – from all sides of the marketing and PR spectrum – and internal marketing and comms departments working together to ensure marketing, PR and brand initiatives are successful. Success can come in many forms. Hiwaizi, for instance, says Blippar wants to create ‘cultural ripples, or moments’ and there are few higher accolades for a brand, than ‘becoming’ a verb, such as, ‘to Blip’. Social is important but mobile has powered some of the biggest changes in media in the last 12 months, Hiwaizi suggested. Consumers are more reliant on consuming content by mobile than ever before. “If you leave home without your keys you can survive,” he quipped. “But leave home without your mobile? What do you do?” Their desire to consume content on mobile devices means it must be both ‘snackable’ and ‘personalised’, he recommended. More than 120 people from the Gorkana community turned out for the panel event. Andrea Ttofa, head of media and PR at NHS Blood and Transplant, said: “The Gorkana panel event ‘Secrets to Marketing and PR success’ provided rich debate and insight into paid, earned and owned channels. #PRoveit @Gorkana some great debate about PRsuccess. Mktg and PR will be more aligned it seems but specialists will always be in demand. Gorkana is running a series of panel events examining key communications and PR issues. Please contact events@gorkana.com if you would like to get involved. For details on upcoming events please go to the events channel online.